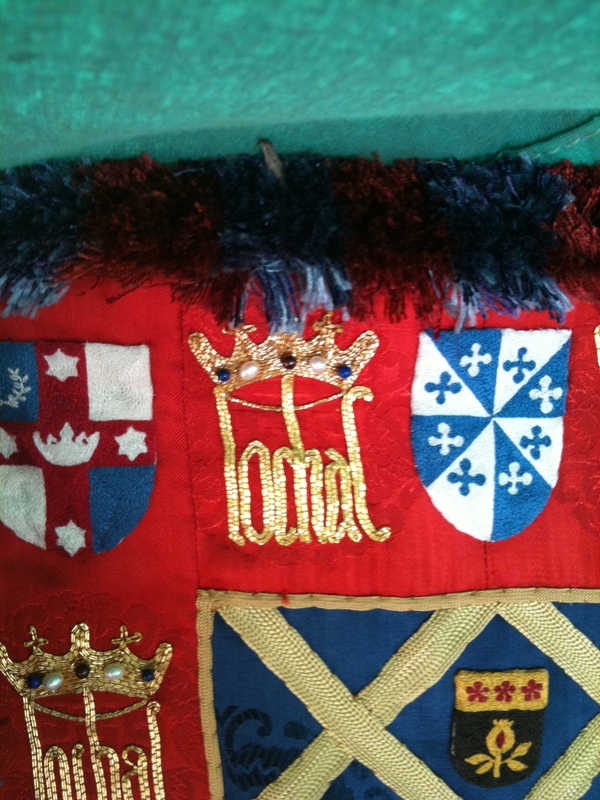 I took Mistress Mathilde’s kit for the WoCOB banner (as she didn’t have the time to finish it) and completed a small piece of goldwork (pictured above) that was added to said banner. I completed the word ‘Lochac’ and the crown. WoCOB is Lochac’s Worshipful Company of Broiderers. 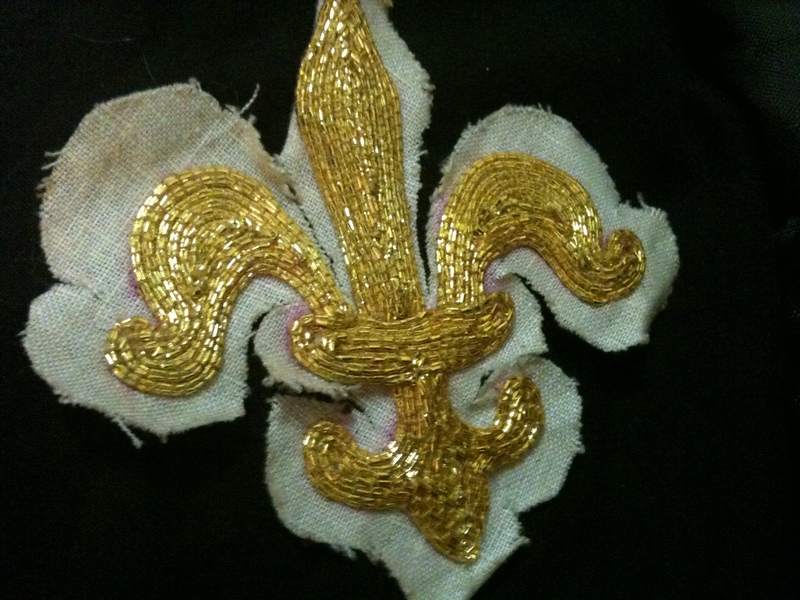 The secondf of two padded goldwork fleur de lis that I made from Mistress Contarina Cassagrande’s goldwork class. I gifted them both to Kitan von Faulkenberg and Alessia de Cheval Blanc. 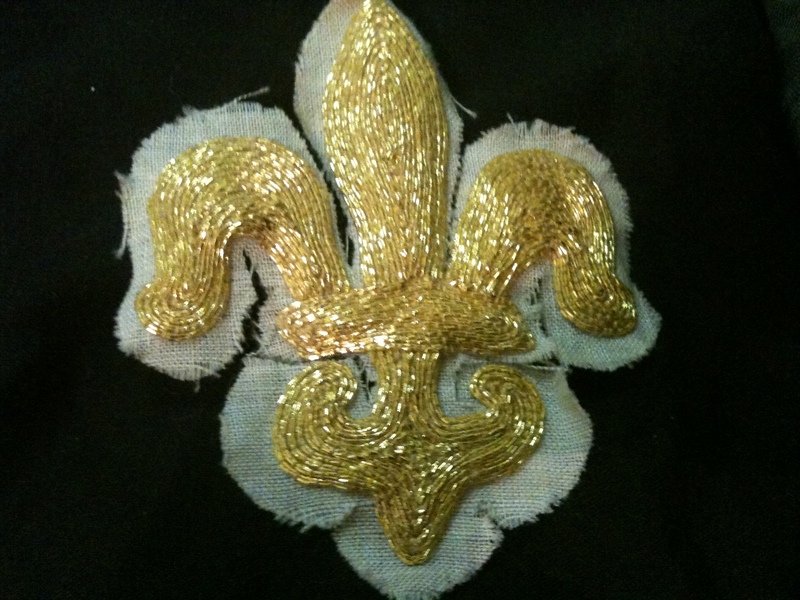 One of two padded goldwork fleur de lis that I made from Mistress Contarina Cassagrande’s goldwork class. I gifted them both to Kitan von Faulkenberg and Alessia de Cheval Blanc. 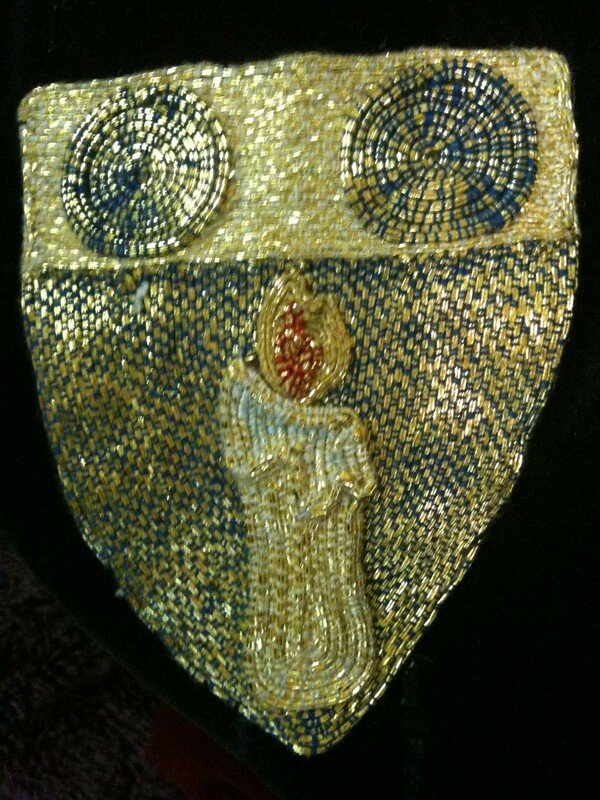 A goldwork badge I made for Cornelius.